If you are attempting gas pipeline connection installation in your home, it is best that you have prior experience in setting up such connections. With prior experience not only will you be able to make new installations, but also be able to repair and detect leaks in old or existing gap pipe connections. Usually gas line connections are made of copper and steel pipes. You need to ensure that the pipes look ok and there are no leaks from intermittent connections and fittings. The gas connection establishment is not a difficult task if you are familiar with such tasks from before. Hence, whether it is a matter of setting up a gas connection to your dryer or oven you can simply get the right kit from a hardware store. However, prior experience is helpful in knowing how the fittings need to be done. Kits usually come with fittings and flexible stainless steel gas line components. You will probably have all that you need with such a kit, but it is best to check with your local building maintenance department to know whether you are allowed to make changes to the gas connection for your apartment or home independently. In case you are attempting to do it for the first time, it would be wise to seek a local expert’s assistance instead. Older homes usually have threaded steel pipe connections. In case you have an old setup and need to install a new appliance, it would be wise to replace the old kit with new tubing that is usually flexible stainless steel components. However, there are certain working norms and safety measures you need to know. For instance, flare fitting for flexible gas line should not be connected directly to a threaded steel pipe. When you have purchased the right gas connection kit ensure that you use the components provided. In case of old gas valves, you might want to replace these with modern connections. You need to first switch off the main gas valve and then do the replacement. When you turn on the gas connection ensure that the gas appliances are working as before. There are common plumbing components that are used to join a ball valve with flexible stainless steel connectors. Usually the threaded pipe connections need to be coated with pipe thread compound before assembling is done. If you are unaware of how to make such arrangements, it is best that you call in an expert plumber. You might wonder whether an expert plumber can do the job of completing the gas connection of replacing an old one. Many established modern plumbing companies offer such expertise as these have become common requirements in most homes. Hence, calling A Better Plumber for gas connection installation help will surely offer you an ideal solution. 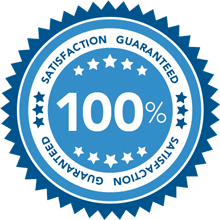 All you need to know is that we are a reliable and reputable gas plumber in your area and have recommendations of others as well.